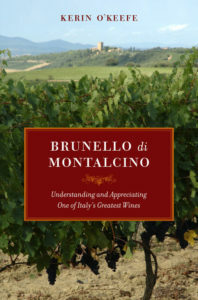 Kerin O’Keefe’s Brunello di Montalcino: Understanding and Appreciating One of Italy’s Greatest Wines (University of California Press; $39.95) is a must-have book for lovers of Brunello and, in fact, for anyone at all serious about Italian wine. That kind of leg work produces the detailed and accurate information that makes O’Keefe’s book a milestone in our grasp of Brunello. In an era where there is so much misinformation about any number of wines and wine news, it’s refreshing to read the work of an author who not only knows her subject in great detail, but one who is opinionated and tells her story in an engaging fashion. Whether you are just discovering Brunello di Montalcino or have been enjoying these wines for decades, this book is highly recommended. Forget blending scandals and infighting over the make-up of Rosso – the biggest issue facing Brunello di Montalcino is the creation of subzones. Kerin O’Keefe argues that consumers need better guidance around what is a vast region of hugely variable styles – and quality. If Brunello di Montalcino’s 2008 grape blending scandal proved anything, it was that the region’s native Sangiovese excels only in certain areas of the vast growing zone. Why else would producers be tempted to adulterate it with other varieties? It is surely no coincidence that since the scandal, which was effectively swept under the rug in 2009, there has been an attempt to change Brunello’s rigid production code to allow other grapes, as well as two efforts to modify Rosso di Montalcino – reportedly launched by some of the denomination’s largest firms. The efforts failed. Now a number of producers are arguing that, rather than allowing other grapes to bolster wines hailing from inferior vineyards, it is instead time to recognise quality by creating official subzones. Summertime temperatures can vary by up to 7°C between Montalcino’s northern and southern extremes, and a dizzying array of altitudes range from just above sea level to more than 500m. Montalcino also boasts one of the most complex and diverse soil profiles in Italy, and all of these factors have a marked effect on the performance of the temperamental Sangiovese. 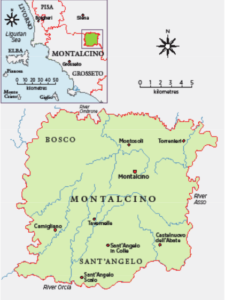 Despite such obvious differences, or perhaps because of them, the powers that be in Montalcino continue to ignore pleas from a growing number of parties to officially acknowledge Montalcino’s varied subzones. Kerin O’Keefe’s Brunello di Montalcino is not simply an enjoyable wine book; it’s one of the rare wine books that is truly important. O’Keefe, an American writer with many years experience in Italy and, particularly, in Tuscany, sets out to explain what makes this wine so special. And in doing so, she takes a sledgehammer to the developments that have threatened to make Brunello just another wine, indistinguishable from the masses. The author’s values shine through in every chapter. O’Keefe speaks for many, many fans of Brunello who dread the internationalization of these wines. Her tasting notes are impressive, and she takes a brickbat to critics who celebrate the ubiquitous chocolate notes now so often lurking in Italian wines. Those notes come from wood, not the land, and not the grapes, she explains. Ultimately, Kerin O’Keefe has done a great service to Montalcino and to wine lovers who appreciate a sense of history and place. Tuscany, as she reveals, has some growing up to do. 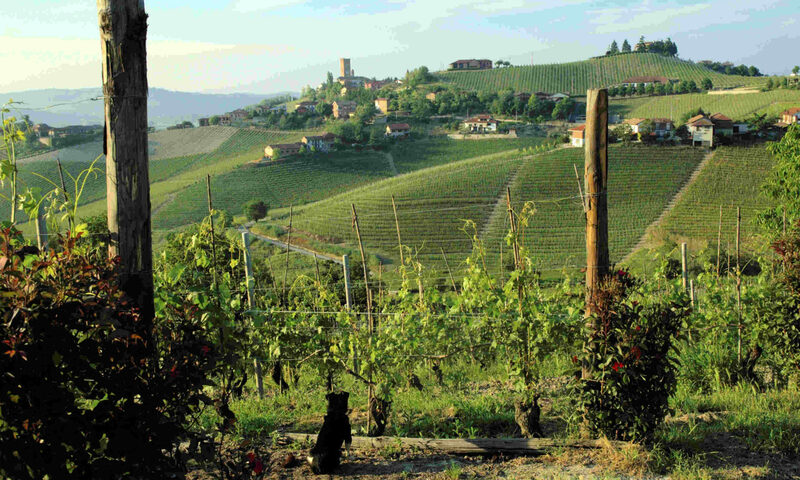 It is unlike Piedmont in the way that it has allowed outsiders to dominate the conversation and the production. This book comes at a time when the region has the opportunity to determine its identity going forward. Thanks to Kerin O’Keefe, that identity is more likely to be mindful of Montalcino’s riveting past. One of the biggest problems facing producers of the recently released Brunello 2005s is that the vintage is sandwiched between the superb Brunello 2004s and the already much-hyped 2006s, scheduled for release next year. While 2004 is a classic vintage, thanks to perfect climatic conditions that yielded structured, harmonious wines with serious cellaring potential, 2005 was an unstable year in most of Montalcino’s growing zone, with a cool summer that culminated in heavy rains at harvest time. have bigger structures (though grape selection was still crucial). yielded some very good wines, such as Il Poggione’s. Brunello di Montalcino producers have voted by a landslide to leave the wine 100% Sangiovese. In yesterday’s highly publicised assembly to decide the fate of the beleaguered wine, 96% voted to leave Brunello as it is. ‘Only 4% of producers voted to change the production code,’ a triumphant Franco Biondi Santi told decanter.com. Biondi Santi was one of the most active defenders of the wine’s traditional production code and over the past few months helped rally the support of the majority of Brunello makers. 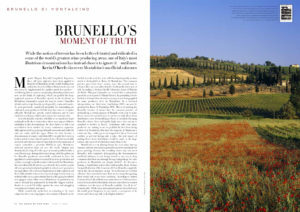 Brunello: Image or substance, truth or dare? “By law, Brunello di Montalcino can be made only with 100 percent Sangiovese cultivated in Montalcino. Otherwise, it’s not Brunello. It shouldn’t be difficult to grasp,” asserts Gianfranco Soldera of Case Basse regarding “Brunellogate,” the grape-blending scandal that broke wide open just days before Vinitaly, the country’s largest annual wine fair, rocking both the sleepy village of Montalcino and one of Italy’s most esteemed denominations. The always forthright Soldera is one of the very few Brunello producers to speak out on the issue that currently besieges the wine and threatens its future. A tense silence has fallen like an iron curtain among the majority of Montalcino’s growers and winemakers, as well as their governing Consorzio. This near-total communication breakdown has not only left Brunello fans in the dark but has also generated controversial media coverage that has confused, exaggerated, or even made up the facts, while at the same time casting doubt as to the fate of Brunello as a varietal wine. 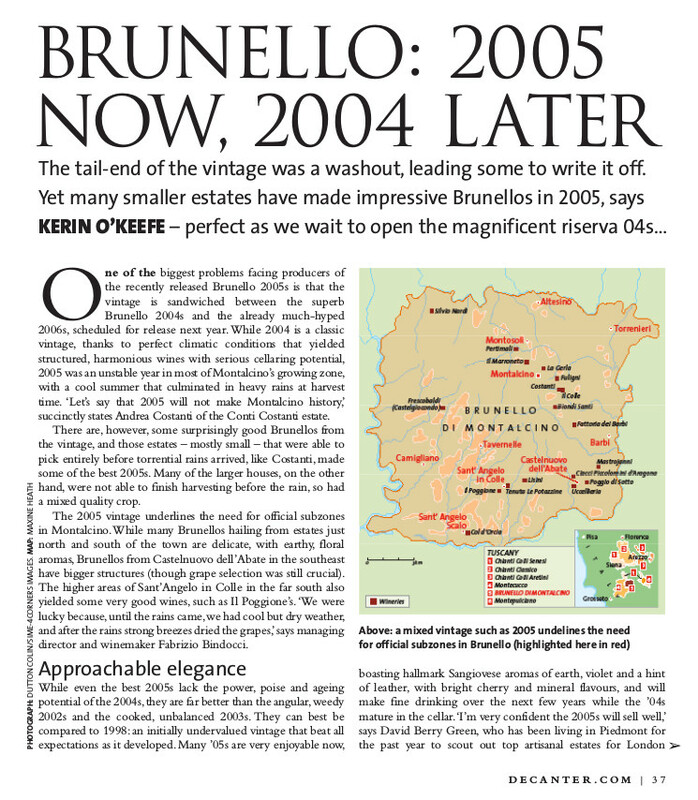 Read the article: Kerin O’Keefe, Brunello: Image or substance, truth or dare?, in The World of Fine Wine, nº 20, 2008. An overhyped 2003 vintage, a fraud scandal, and the threat of a US ban has left Brunello in crisis. Could subregions be the answer, asks Kerin O’Keefe. No one will forget the scalding summer of 2003, among the hottest and driest ever recorded in Europe. Many consumers, however, will want to forget the wines from this vintage; Italy was hit hard and most wines reflect the difficult conditions. 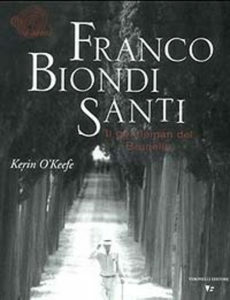 Con il suo libro Kerin non ci propone solo una documentata, appassionata, ben raccontata biografia della dinastia Biondi Santi e di Franco, gentleman del Brunello, descritto a tutto tondo nella sua umanità e nel suo voler essere il degno testimone di un impegno, quello della qualità senza discussioni, che è sentito ancor più fortemente perché s’intreccia con la storia della sua famiglia. O’Keefe, e di questo dobbiamo esserle profondamente grati, nel suo libro dimostra di credere in una sua idea del Brunello, (che, vedi caso, coincide con la visione di Franco Biondi Santi), e con coraggio, senza perifrasi e giri di parole, ricorda chiaramente che ora ci si trova di fronte ad una “situazione allarmante per il futuro del Brunello, il cui carattere e la cui tipicità uniche al mondo sono minacciate”, e che “oggi con il futuro di questo grande vino in pericolo e il volere da parte di certi produttori di cambiare ancora il disciplinare”, Franco Biondi Santi ha scelto di aderire al Consorzio per combattere dal di dentro ,”nella speranza che lui e gli altri produttori del Brunello tradizionale possano fermare la tendenza a renderlo un vino irriconoscibile”.